(This page is a mirror of the FreeCWC Website. Jocelyn Andersen is the author of "Woman Submit! Christians & Domestic Violence" and the new publication, "Woman this is WAR! Gender, Slavery and the Evangelical Caste System." She is also the editor of "FIVE SMOOTH STONES," the official publication of the FreeCWC. 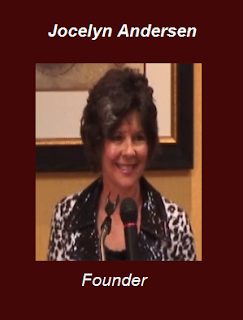 Jocelyn is available for interviews or speaking engagements on behalf of the Coalition. Founder of bWe Baptist Women for Equality. 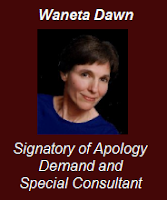 Waneta Dawn is the author of "Behind the Hedge," a former facilitator for a wife batterer's program, and a fervent advocate for victims of Domestic Abuse. Cindy is a Spiritual Abuse Consultant who writes about the phenomenon of cultic behavior and spiritual abuse on at UnderMuchGrace.com. Along with Lundy Bancroft, Janice co-founded the Protective Mothers Alliance International—PMA is working toward bringing about dramatic reform in family court for protective mothers and their children. 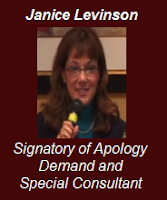 Janice is a Christian who is concerned, not only about the horrific situation within the family court system but, about how Christians can be a support to the increasing number of protective parents within our spheres of influence. 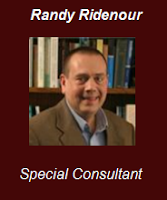 Randy Ridenour is Associate Professor of Philosophy at Oklahoma Baptist University and a chaplain in the United States Army Reserve. His active-duty service as a chaplain include tours at Ft. Hood, Texas and in Iraq. 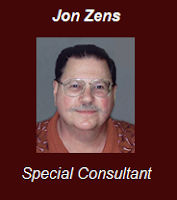 Dr. Zens holds a B.A. in Biblical studies from Covenant College, a M.Div. from Westminster Theological Seminary, Philadelphia, and a D.Min. from the California Graduate School of Theology. Zens' groundbreaking articles in the late 1970s were highly instrumental in developing what came to be called "New Covenant Theology." Jon, both a NT scholar and expert on church history, has been the editor of "Searching Together" for more than 30 years. Read more about his story and his work concerning reformation of the Church HERE. Videos about the Freedom for Christian Women Coalition (FreeCWC): What we are and why we're here! Jocelyn Andersen and Shirley Taylor explain why the Freedom for Christian Women Coalition is needed and why it was formed. A humorous explanation of the Free CWC Logo is offered by Shirley! The Freedom for Christian Women Coalition responds to the Danvers Statement of the Council on Biblical Manhood and Womanhood by offering their own set of "Rationales" and "Affirmations." Jocelyn Andersen presents FreeCWC's statements before the SF2 Convention. 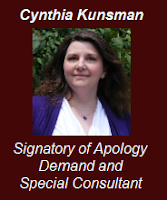 "The Freedom for Christian Women Coalition met on July 24, 2010, in Orlando, Florida, and agreed and affirmed this Demand for an Apology from the Council on Biblical Manhood and Biblical Womanhood because of the concerns as listed . . . For the sake of all Christians, men and women, we demand that the Council on Biblical Manhood and Biblical Womanhood, make a public apology for the misuse of Holy Scripture as it relates to women, and cease to publish or promote The Danvers Statement on Biblical Manhood and Biblical Womanhood." Explaining the Logo and "No Equal, but"s! The disingenuous and central mantra of the Counsel on Biblical Manhood and Womanhood states that "Women are equal, but different." They then write tomes to explain the "differences," all of which either directly or indirectly negate equality. (It reminds me a little of Richard Nixon saying that he was not a "crook," and what Hitler called "The Big Lie." If you tell a lie often enough, people will believe it. The more outrageous the lie and the "bigger" it seems, the more likely people are to just give up in confusion and agree. 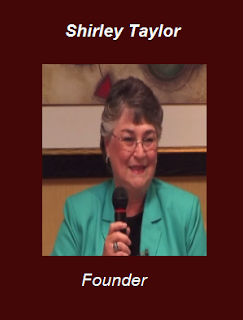 In her presentation at the Seneca Falls 2 Evangelical Women's Rights Convention, Shirley Taylor pointed out the inconsistencies of the "Equal, but..." statements, saying she was tired of "their 'Equal, but...'s." The Freedom for Christian Women Coalition has adopted this as their mantra: "No 'Equal, but...'s! Equal means equal!" Who is this 'Shirley Taylor,' REALLY? A humourous excerpt from Shirley's presentation at the Seneca Falls 2 Evangelical Women's Rights Convention. Visit Shirley at bWeBaptist.com and visit the Freedom for Christian Women Coalition at FreeCWC.com. Order your new copy at CreateSpace.com after September 30th! Has your Church helped a protective parent pay for legal services?